Martyn Hilbert's Railway Photography - Preston & District - NSE Class 47, 47582 at Leyland. NSE Class 47, 47582 at Leyland. 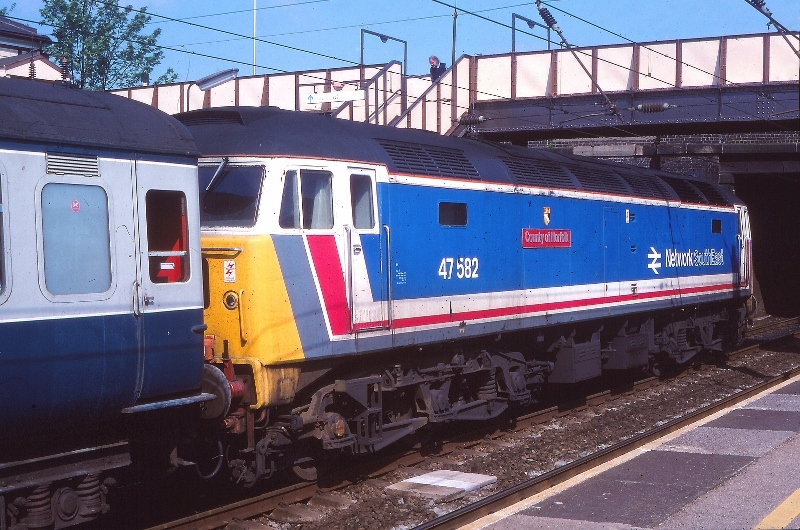 Brightening the up the routine, Network South East Liveried Class 47, 47582-'County of Norfolk', made a surprise appearance at Leyland with the daily Nottingham to Blackpool North Service on the 10th May 1988.